Hi everyone! I'm happy to be participating in Shruti's Know Thy Machine blog hop and sharing a bit about my sewing machine. Hopefully with all the participants (I think it's going for over a month) this blog hop will be a good resource for people shopping for sewing machines. 1. What machine(s) do you have? This is my machine set up with the extension table, my (dull) clippers, and my $2.50 gardening/machine quilting gloves. Ready to machine quilt! 2. When and where did you buy it? What were the reasons for selecting this particular model? I've had it for almost 3 years now; I got it in December 2009. This model wasn't my first choice; when I bought it I had decided on another Janome model and then when I went to the sewing machine store they were no longer selling that model. (Looking back now, I think it was when they were first getting ready to sell the Janome Horizon.) I went back online to do more research and decided on the 4800. Turns out that the place I bought the machine from no longer had the 4800 in stock so they sent me the 4900 instead. I bought it online from a sew/vac place that I think was in Texas. I can't remember for sure. 3. What do you like about your machine? Have you named it? Have you made a cover for it? I like my sewing machine a lot. It is pretty sturdy and I haven't really had any problems with it at all. 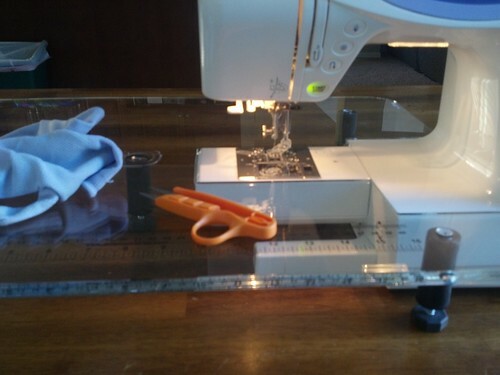 It is good at basic sewing, great at machine quilting (I just have to adjust the top tension to about 6 for the best results) and does fine with heavy duty sewing although I don't do a lot of that type of sewing these days. I have not made a cover for my machine yet. Someday I will, though. 5. What do you sew on it mainly? Quilts, Clothes, Bags etc. How much time do you spend sewing on it? What are the features of the machine that help you improve your work? My sewing consists of mostly working on quilts, household items, and the occasional clothing item (or Halloween costume.) I sew probably between 5-8 hours each week, but I don't really keep track. My sewing machine came with a walking foot and a free-motion quilting foot and those are both really helpful with my quilting. Otherwise I really appreciate that it's a good reliable machine that can handle whatever I want it to do. It has a bunch of specialty stitches and I don't use those very often but I appreciate them when I need them. I also like the speed adjustment for when my kids want to have a turn sewing. I can set it so the machine doesn't go too fast and my boys feel more comfortable sewing that way. A couple other features I like a lot are the needle-down feature (although I wish I didn't have to set it every time I want to use it) and the adjustable presser foot pressure dial, which makes straight line quilting work out a lot better. Go on PatternReview.com and check out reviews there. Most people include the price they paid for their machine so you can get a basic idea of cost, since sewing machine manufacturers don't typically include prices on their websites. I don't really have any specific memories of this machine but I do have fond memories of sewing at the kitchen table in my old house in Kansas in the sunny (and usually warm) kitchen. 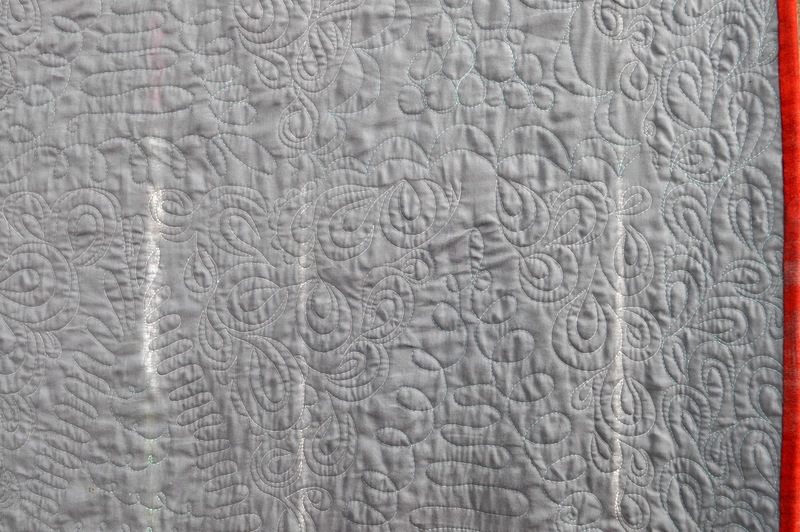 I do a lot of my machine quilting at the kitchen table here, but it's not quite as sunny! I'm pretty happy with my sewing machine and not planning on buying a new one any time soon. If I had to decide on another domestic (table top) sewing machine I would probably get a Janome Horizon or some kind of Bernina. I have recently started thinking about getting a longarm quilting machine; that's something I feel like I need to research a lot though before I commit to actually going through with it. Thanks for reading! You can read about more people's experiences with their sewing machines (and enter to win prizes!) on Shruti's blog, 13 Woodhouse Road. Hi everyone! Welcome to Sew Inspired. If you haven't visited before I hope you take a minute to look around, or come back later on to check out my tutorials and recent projects if you're busy looking at quilts right now. 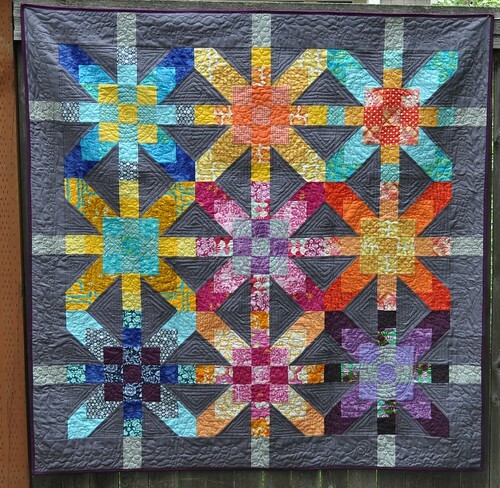 For Blogger's Quilt Festival I decided to share my supernova quilt again. 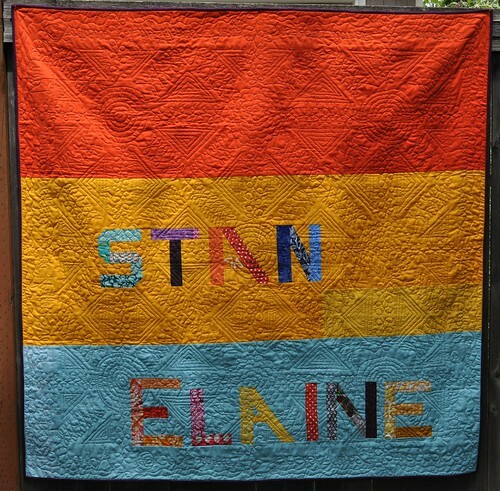 I made this quilt for my parents' 40th wedding anniversary which was this past May. It is one of my favorite quilts I've ever made. I love how the colors turned out, and the quilting, and the back. (That's my dad's and mom's names.) One day I want to make another one to keep. The quilt was made using the quiltalong information at Freshly Pieced, and my colors were originally based on her color scheme but they ended up a bit different. If you're interested (and want to see a close-up of the quilting), you can read previous blog posts about this quilt here and here. Thanks again for stopping by, and thanks so much to Amy for hosting the quilt festival! 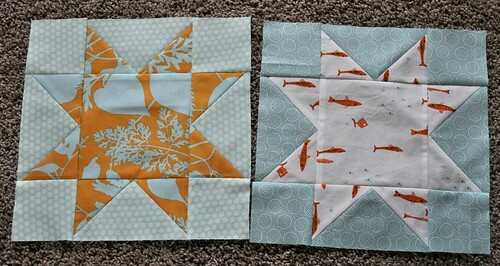 One of my sewing goals this week was to make 7 quilt blocks. 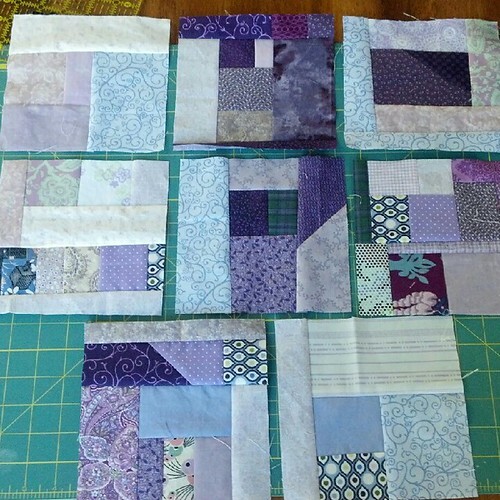 I finished up 8 purple scrap blocks, so I went above and beyond. I like the blocks with smaller pieces better... but they take more work and thinking. These blocks are 6.5" square. I'm planning on making at least 25 more. I need to focus on pink and turquoise next, I think. It feels great to finish a year-old UFO! I started this hand sewing project last year when we were living in corporate housing for almost 2 months. 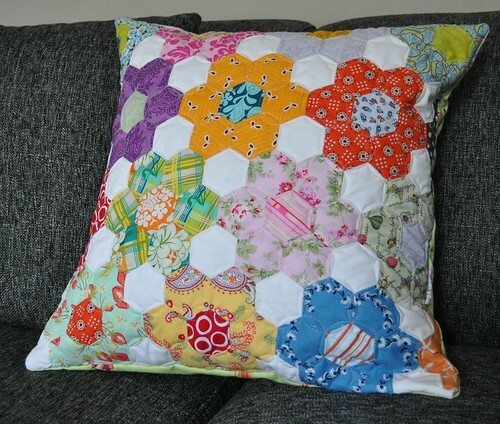 It sat unfinished for a long time, only needing a few more hexagons. I finished it up the other day, machine quilted it yesterday, and made it into a pillow this morning. The continuous curve quilting was inspired by Frankenquilt by Krista Withers (scroll down a bit). 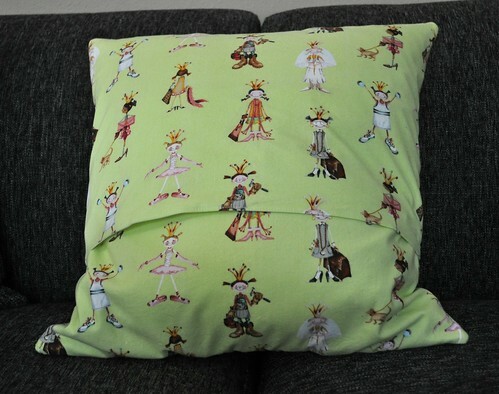 The pillow back is this weird but cool princess/dress up fabric I got from the remnant bin a few months ago. It's a little overstuffed or in other words, too small for the pillow form. I had a hard time getting those bottom corners filled up correctly. My daughter thinks it needs to go in her room because of the princess fabric. I want to keep it downstairs, for a while at least. Hi everyone! 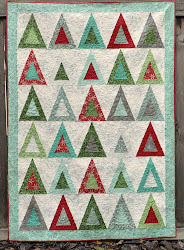 I'm excited to take my turn on the blog tour for Natalia's new book, Beginner's Guide to Free Motion Quilting. 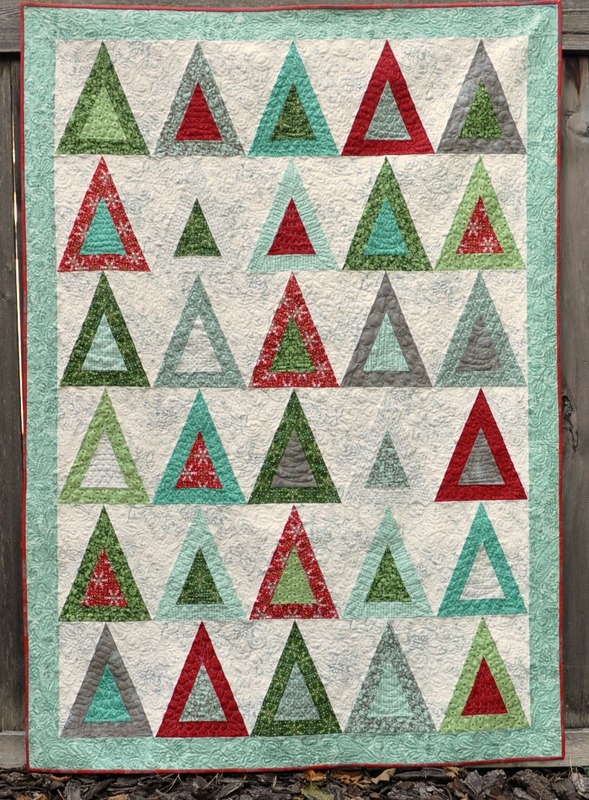 Natalia is a very talented quilter who blogs at Piece N Quilt where she shares a lot of her quilting along with tutorials and patterns too. Natalia's theme for this blog tour is "It's a Family Affair" and I'd like to share a bit about my family's influence on my sewing and quilting. My mom learned to sew from her grandma, and she taught me to sew clothes and toys starting when I was really little. My Grandma Taylor also taught me and helped me with my sewing, including helping me make my very first quilt when I was 13 years old. 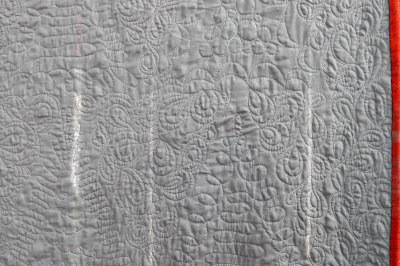 I started quilting 'for real" the year I got married and now my husband and I have been married 15 years and have 3 kids. I've enjoyed making baby quilts for my kids and nieces and nephews and bigger quilts for family members as well. My mom started quilting a few years ago and my kids have done some sewing too. My oldest boy is working on a Minecraft pillow, and just the other day, my nearly 4-year-old daughter started her first hand sewing project. She still needs a lot of help but she's doing a really good job so far! Now for my thoughts on the book. I think Natalia did a fantastic job with this book. 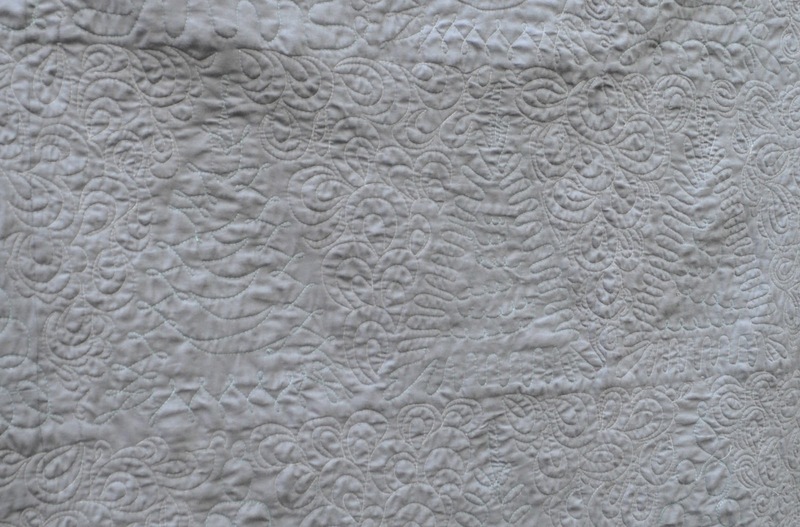 Beginner's Guide to Free Motion Quilting has a good introductory section explaining the tools you need to get started with machine quilting and basic instructions for basting your quilt. Then the main part of the book is full of various free motion quilting designs, complete with step-by-step diagrams and photos showing how to stitch each design. I'm looking forward to working some more on my free motion quilted feathers with this book as my guide. I did try something new with my quilting after reading Natalia's book. 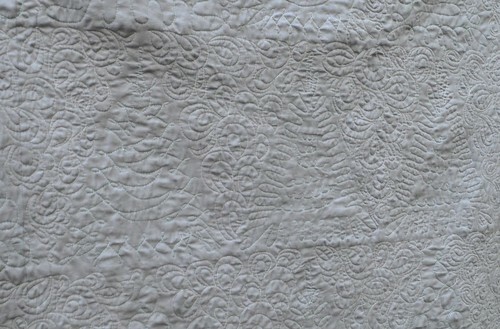 In the center of this photo you can see the quilting I did based on the "clams" design. (This is the back of a quilt I'll be sharing here soon.) I had tried to do something similar to this after just seeing a couple of photos and couldn't figure it out. The diagrams in the book really helped me get it, and I even made my own variations/additions to the design in a few places. Natalia does a lot of applique in her quilt designs and I helped make this applique quilt top. (I would have made the whole quilt top but my sewing machine ended up needing to be serviced half way through the project.) 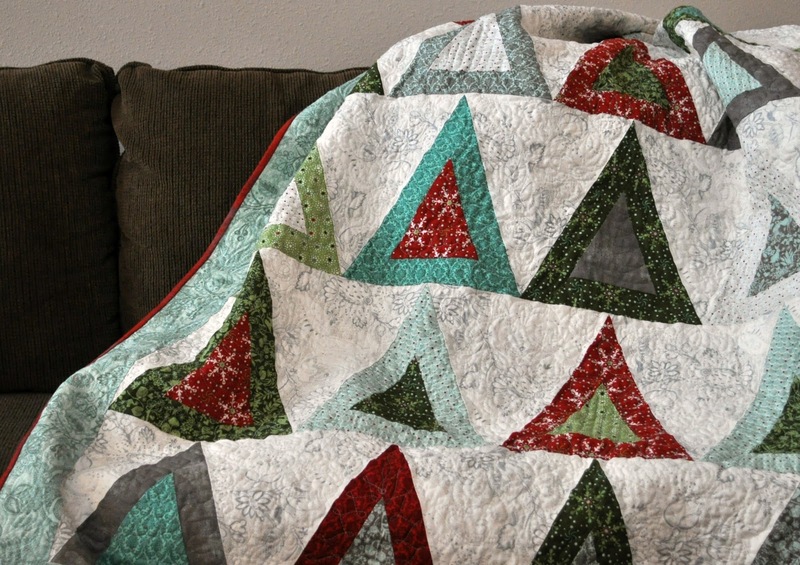 I love the quilting Natalia did and someday soon I'm going to try out that swirly quilting she did in the negative space. All right, time for the giveaway. If you'd like to win a copy of Beginner's Guide to Free Motion Quilting, just leave a comment on this blog post. I'd love to hear about a current project you're working on... or tell me something you want to make. If the winner is not a U.S. resident, they will receive the e-book version of the book. Winners will be chosen on October 18. How's everyone doing? Things are good here, we are settled into a good routine now that school has been in session for about a month (I'm loving our new "no TV before homework is done" rule!) and I'm working on a few projects. I started this little hexagon patchwork future pillow last year when we first moved to Washington and it has been sitting almost done for a long time. I decided I'm going to work on it a little bit each day until it's finished. 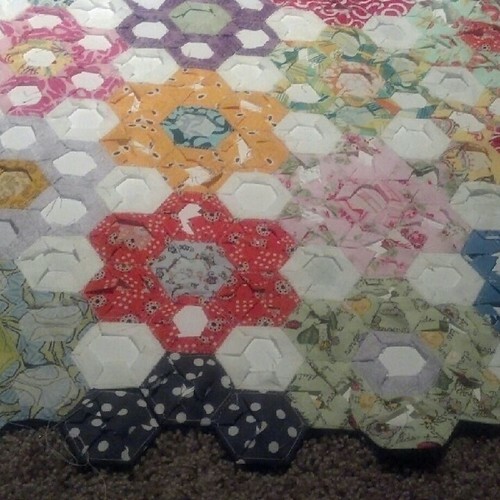 I'm not sure what to do with the edges on a hexagon project; I guess part of the hexes on the edges will get cut off. I guess I'll see when I get there. 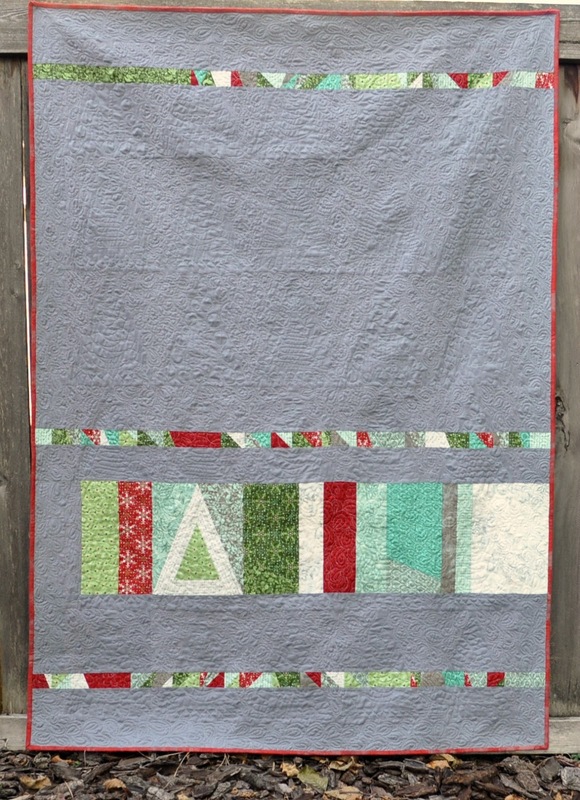 And I've been plugging away on the machine quilting for my new Christmas quilt. I have tried some new things and made some mistakes, there's always something to learn right? I'm looking forward to having this done soon! I also got all the things I need to make a Pirate Fairy Princess costume for my little girl. We have wings and striped leggings, she will get a tiara for her birthday, and I'll be making a pirate skirt and peasant top. I think it will be really cute. I wanted to let you know about the Color Wheel Swap hosted by Megan of City Stitches. If you're needing to stash build or just like to swap, it looks like it will be a good one. 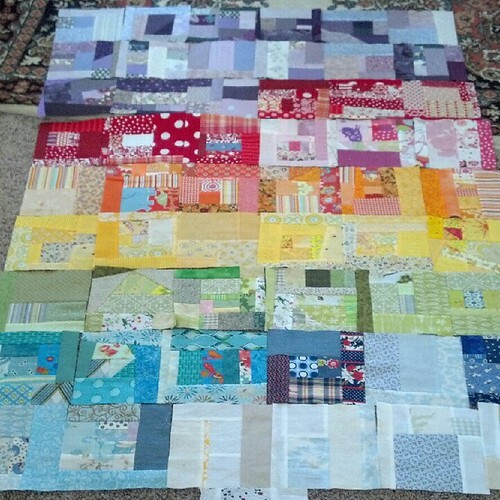 All you have to do is send in 2 yards of one color of fabric (she'll assign colors) and you'll get back a rainbow of fat quarters.Signups are open until the 10th, so check it out! p.s. I'm on instagram; my username is VickiDJL. 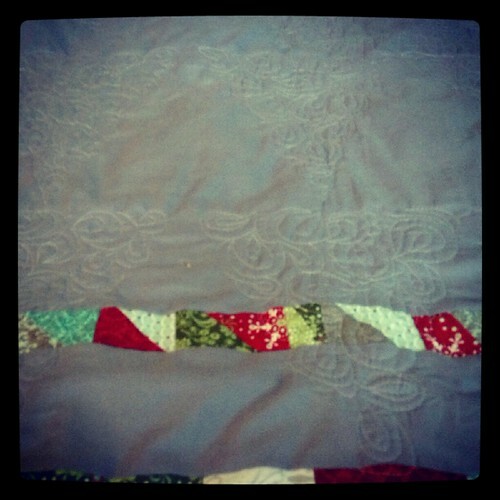 You can see some of my pics there if you want... even a sneak peek of the front of my Christmas quilt.